09/04/2018 - Can one avoid adding sulphur during the wine-making process? This article investigates alternative paths chosen by various producers, at all stages between grape reception and bottling. It also collects their opinions today, after several years of experience and experiments. First of all, one should really be talking about sulphites rather than sulphur, and these can be natural or not. Sulphur itself is one of the basic elements and is to be found in all wines, even those with no added sulphites. It is part of the composition of numerous molecules, such as the aromatic family known as thiols. Therefore the term « sulphur free wine » is improper. One should rather say « wine with no added sulphur ». The form of sulphur used in wine is sulphur dioxide, which incorporates one sulphur molecule with two of oxygen, thus producing SO2. This can be applied to grape must or wine, either as a gas or as a stable solution, or indeed used in solid form in the case of the decontamination of containers. SO2 is the only additive that can employed at all stages of winemaking, from grape hervest to bottling. When it is added to wine it partially combines with various molecules, and in particular with ethanal, which is produced by the action of yeast as well as through the oxidation of alcohol. One can therefore find it under two forms: free, or active sulphur, and combined sulphur. The sum of the two is known as total SO2. Quantities of these sulphides are controlled under various wine-making protocols, with variable levels allowed according to the type and certification system of the wine: white, red, sweet, dry, organic or not. For example, the maximun levels allowed for red wines in Europe are 150 mg/litre for non-organic, 100 mg/litre for organic, and 70 mg/litre for the Demeter certification for biodynamic wines. In the case of the even stricter USDA organic certification, only traces of sulphites are allowed. Sulphites are also widely used as an additive to foodstuffs for their conservation properties, and can be seen, for example, under the EU numbers 220 and 228. In winemaking, sulphites have many useful properties: antioxydative, antioxydasic (inhibits certain enzymes), antiseptic, and solvant (helps to extract polyphenols). So the question is: how do winemakers and enologists compensate for the loss of these properties? We put this question to several of them during a wine fair dedicated to organic wines in France, Millésime Bio. Nicolas Dutour, consultant enologist for Clos Roca, at Nizas in the Hérault départment. « We add yeasts to the freshly harvested grapes. These yeasts, which are dehydrated and active, are spread over the grapes and are hydrated instantly on contact. Alcoholic fermentation starts at once and finishes sooner than usual, after 5 to 6 days. Malolactic fermentation goes through naturally and fast. The must is held in a tank with a floating cover that protects it. The finished wine has the lees removed as it is drawn off and all pumping is done under nitrogen gas to protect the wine from oxygen. Tartaric acid is removed by cold stabilisation. Finally, sterile filtration at the bottling stage obviates any microbiological problems. The white is light and fresh, as fluid as an innocent fruit juice. The red shares this naturally juicy character, together with a fine-grained texture that melts in the mouth and a feeling reminiscent of boiled sweets. Jean likes to add a small amount of sulphites to the harvested grapes. This helps select beneficial micro-organisms and yeast strains. To make wines without any added sulphites, the vineyard has to be perfectely healthy and current weather conditions do not help in this repect. « We are all aware that we need at least to reduce the quantity of sulphites ». His wife Anne, also a vigneronne, sums things up by stating her reservations with regard to any over systematic approach that she qualifies as an « Ayatolattitude ». 3 years old and still very fresh. The nose is discreet, but the wine is richly spicy and quite acidulous on the palate. 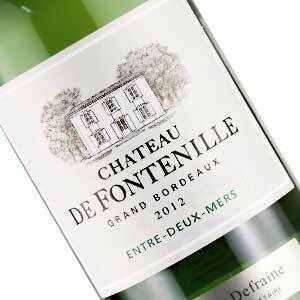 The structure is both fine and firm, with a juicy finish around attractive fruit flavours. Here we have a large cooperative structure that produces not only some organic wines, but also, since 2015, small quantitites of wines without added sulphites. It was the initiative of a few younger growers that enabled these changes. In order to make it happen, La Cave de Tain invested 10 millions euros in a new winery adapted to organic production and which serves as a working laboratory. 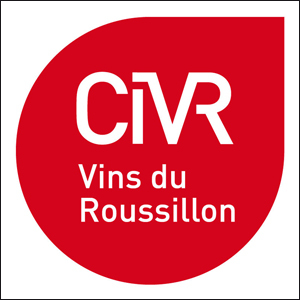 Bottling takes place at the end of March following the harvest, « to avoid deviations » according to Xavier Gomart, the director. 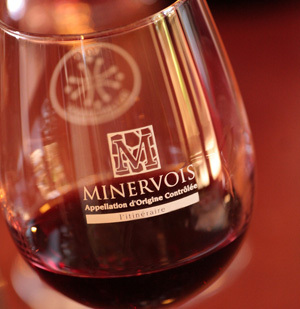 The objective is to produce a wine that is « crisp, young and fruity ». The maceration times are short and yeast is added to the must as soon as the grapes come in. Both must and the fermented wine are then well protected until filtering prior to bottling. Technical control is the name of the game here. Firmly structured as befits a young syrah, with aromatic hints of flowers, especially violets. Acidulous touch on the palate, reinforced by youthful tannins. Hard to say at this point how these will soften in time. Alexandre They is the former communication manager for the Corbières appellation; but this with no added sulphites is sold without a geographic appellation. « It all depends on grape maturity, but one must also have a good level of acidity. Apart from these prerequisites, the process is quite simple: indigenous yeast strains, four days of pumping over to aerate and homogenize the must, then maceration and malolactic. No filtering, but bottling under nitrogen protection. » To filter or not to filter has always been a somewhat divisive issue for winemakers. The nose is intense and fruity. The palate clearly shows its warm southern origin, but the fine acidity could be an indication of the lack of sulphites. Filtering clarifies a wine, to various degrees according to the process. It removes undesirable particles that come from the grapes, as well as yeasts and bacteria. The principle is simple: wine is passed through a filter that retains the larger molecules. Filtering is considered to be sterile when anything above 0,45 microns in diameter is removed. Filters can be made of various substances: cellulose, diatomic earth, volcanic rock or membranes. The wine is forced through these barriers. Tangential filtering puts the wine through a porous membrane that surrounds it laterally. This technique enables a fine degree of filtering with little waste product and has often replaced frontal systems such as filtering through earth that results in waste that has to be disposed of. Wine making without adding sulphites means « taking things as far as possible » in the case of an organic or biodynamic approach. Harvest is manual and the grapes spend 2 or 3 days under carbonic gas for a prefermentary maceration. They are then pressed and the juice is fed by gravity into the ferment tanks. Fermentation kicks off naturally and the wine spends 8 months in tanks before bottling, using a tangential filter. No additional sulphur has been used since 2012 and « everything has gone well ». One might think that the natural acidity of these grapes helps in this case, but the impeccable sanitary condition surely plays its part. Well balanced with fruity acidity. Quite juicy. To put things simply there is no sign of sulphur in this winery, whether for white or red, still or sparkling. And the result is an amazing impression of focused freshness. The process is apparently quite simple: After between one and two weeks of pre-fermentary soaking with the must protected by carbonic gas, indigenous yeasts do the rest. Did we miss something here? This sparkling wine made with Ottonel Muscat grapes surprises one with its exuberant aromatics that remind one successively of roses, lime, strawberry jam and mint! The bubbles are fine and the foam is creamy. Without any sweetness, this is deliciously fine. This producer is little known to consumers as most of their wine is sold in bulk. Gérard Bertrand takes about 25% of it, for example. They are also the single biggest supplier of organic wine in France, with an annual average of 57,000 hectolitres. A small part of their range is bottled for sale in their cellar-door shop in Vergèze, in the Gard. 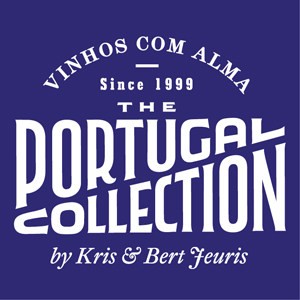 This cooperative winery went organic in 1995, making their first certified wine in 1997, so they have some experience. Their President, Jean-Fred Coste, is somewhat evasive about the specific requirements of not adding sulphites to wine, but mentions « greater attention to detail, impeccable hygiene and a couple of little secrets. 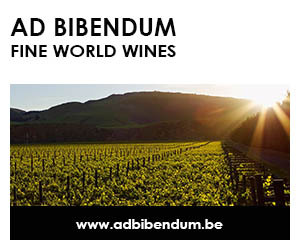 » The head enologist, Jean-Luc Andrieu is more loquacious: «We are feeling our way here. For example, should malolactic fermentation go through together with alcoholic ? Because malolactic is crucial». Co-innoculation of yeast and bacteria means that the time span during which a wine is loaded with micro-organisms that could lead id down the rocky road to ruin is reduced. Avoiding use of sulphites must be done without taking risks: pumping over, rapid pressing, a first centrifugal filtering and then malolactic. This process has proved its worth. An attractively fruity nose, innocent like cherry juice. A supple palate with a juicy feel just moderated by gentle tannins. « All the time we held fermentations at 24, 25°C ». With 1O years of experience under his belt, Philippe Richy, who trained as an engineer, claims that « nothing budges ». Time of bottling is determined by taste : « when it’s good, it’s good ». Chosing the no-added-sulphur path is not an obsession for Philippe, who is suspicious of excessive attitudes and does not hesitate to add yeast or minimal doses of sulphites if required. « The problem here in southern France is the sugar levels that we get. If malolactic sets in and we still have unfermented sugars, there is a major risk of deviation. Acetic bacteria are the main cause of weird tastes. 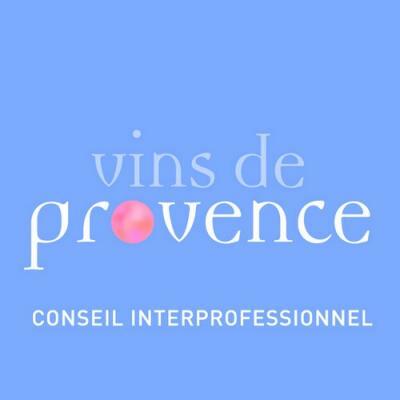 » This producer has a wide-reaching knowledge of matters of the vine and wine, as is shown in his short essay «Le vin décomplexé». He concludes by saying that he does not hesitate to use small doses of sulphites (30mg/litre) to protect his white wines in barrel form oxidation, or 20mg/litre at bottling for his rosés. The red wines are clean and precise. The textures are always fine, just the acidity varies. This Polaris is especially supple and delicious. A specific vineyard plot is selected for this wine and it undergoes bunch thinning to ensure that all the grapes are healthy. Harvest is mechanical, then the grapes undergo a double sorting. Then « one just has to be super-clean and keep the air away ». The process is classic. 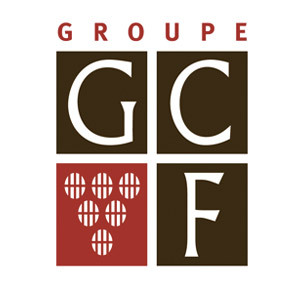 The main work is in the vineyard, with the aim of producing a lighter and fruitier style of Cahors that represents a new line in this producer’s range. 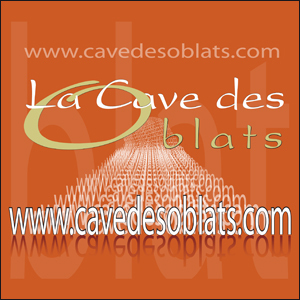 « A Cahors with no SO2 is still a Cahors, it just has its own logic ». This may not seem totally obvious when the producer draws a comparison with his top level wine: « if we made our Malbec XL without adding sulphites, we would get an excellent vinegar » ; It should be noted here that most vinegars do contain added sulphites, but that is perhaps beside the point. One should however remember that one of the dangers in Cahors is an excess of animal-like aromas, to the detriment of fruit. Some mange to avoid this trap very well, like at Le Cèdre for example. Sulphites, both in the vineyard and the cellar, should be used as a preventative measure. They are a means of protection against pests and fungus. When used judiciously, they can sort out the good from the less good. In small quantities, sulphites are actually less dangerous than some other molecules produced when wine goes awry. Used moderately they make for good wine-making throughout the process. Deciding to vinify without sulphites is part of a radical choice that usually bars all additives. Even then these few examples show that one has to be very careful, technically competent and even highly resourceful to do without any SO2. Vignerons who want to preserve the natural qualities of their wines may choose to prefer physical treatments to chemical ones. But it should be underlined that good wine does not happen by accident: one needs healthy grapes and plenty of talent. And talent is neither a chemical substance not a physical process, and it cannot be limited by any regulation. Unfortunately, it is not yet for sale, even on this site! Link for other articles in our english edition.